Delta Air Lines is planning to again operate winter seasonal service from its Atlanta hub to Palm Springs, CA. According to Airline Route, initially the route will be operate daily during the Christmas holidays starting on December 20, 2018 with Boeing 737-800 aircraft. The route will revert to weekly Saturday service on January 5, 2019. 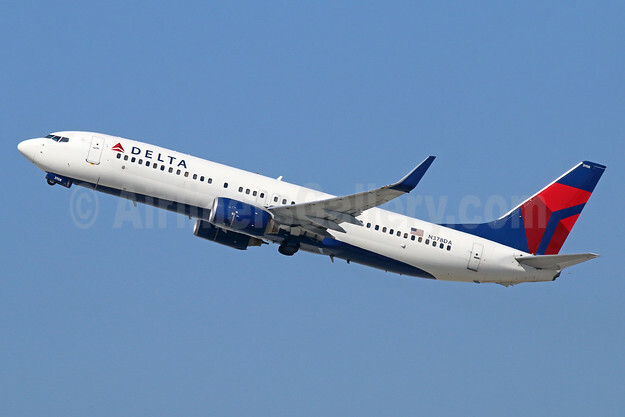 Copyright Photo: Delta Air Lines Boeing 737-832 WL N378DA (msn 30265) LAX (Michael B. Ing). Image: 942640. This entry was posted in Delta Air Lines and tagged Boeing 737-832 WL, Delta Air Lines, msn 30265, N378DA on July 5, 2018 by Bruce Drum.